Pune : The installation ceremony of new bearers at Builder’s Association of India Pune Center ( BAI ) was held at Residency Club . 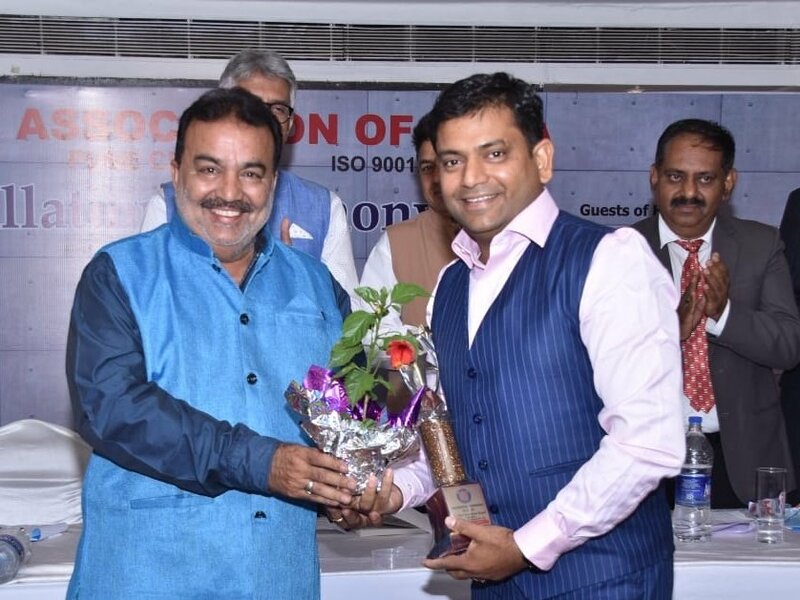 Chief Guest and All India BAI President Sachin Chandra , Guest of Honors Nimesh Patel BAI Vice President ( West Zone ) , Prakash Panjwani BAI State Chairman – Maharashtra , newly installed office bearers Chairman BAI Pune Manoj Deshmukh , Hon. Secretary S.B Apte , Vice Chairman Ashok Atkekar , Hon. Treasurer A.R Gujar , outgoing Chairman Pradeep Garge , Past Vice Presidents Ranjit More , Pradeep Salunkhe and Dr R.B Krishnani were present on the occasion. An interactive new website of BAI Pune center was inaugurated at the hands of the Chief Guest on the occasion . The youth wing of BAI Pune was also inaugurated to guide college students and mould them seamlessly in the field. Chief Guest Sachin Chandra said that I am happy that I am speaking at the birth place of BAI . Pune and West Zone has a big role and greater responsibility at National level. Paradigm shift is happening in our economy. BAI should be able maintain in sync with the change. We should also interact more with different Government department to highlight our issues, achievements and to continue channels of communication . Similarly partnering with the Government and shouldering responsibility for various issues like skilling is also important. Fresh ideas from youth wing should be welcomed and a plan for BAI 2030 should be chalked out to take the association to greater heights in future. Nimesh Patel said that the construction industry is going through challenging phase due to the new regulations and BAI is ensuring that the industry is not adversely affected. Prakash Panjwani said that machinery and men are two important tools in our industry. Machines can be managed but we must give more thrust on welfare of labour working in the industry. Outgoing Chairman Pradeep Garge , Chairman 2019-20 Manoj Deshmukh also spoke on the occasion . Jaydeep Raje was the Master of Ceremony while Hon. Secretary Sanjay Apte proposed the vote of thanks.